We’re in England and Wales. It’s late April in the run up to May the 4th, and the Force is especially shimmering, shall we say. Dak is in-country, guiding his landspeeder along the West Country and East Midlands motorways for a three-appearance tour. Something is afoot. Checking his bearings, Dak pulses his network. From The Smoke, rumor has it that also in-country are The Big Three. In return, Dak is pulsed about the circumstances behind Peter Mayhew’s cancelling his Awesome Con appearance in Washington, DC, the week before. Dak cannot comment; he knows nothing. In Britain, the feeling of anticipation is palpable. 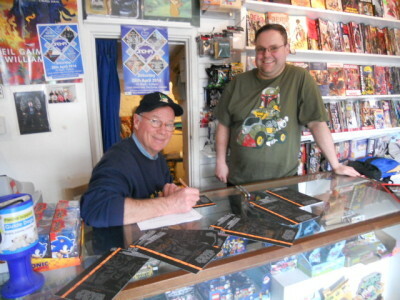 First stop is Corsham in Wiltshire for some signings at Matt Booker’s Automattic Comics & Toys. Worldwide, fans may know Matt from his association with Jedi News. 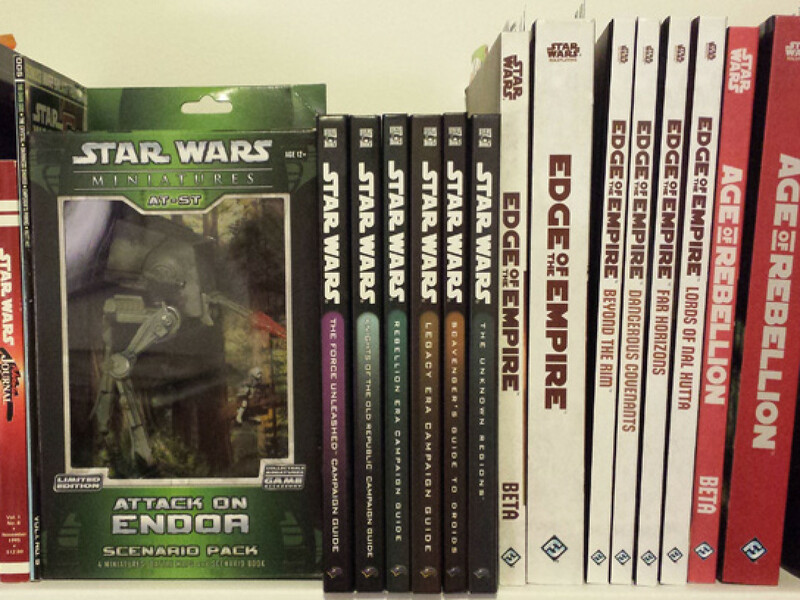 Fortuitously situated on the high street opposite the library, his shop is a regional hub for all things Star Wars. Later, Dak finds that children from his English mother’s village, nestled beneath the Westbury White Horse 30 minutes to the south, are some of Matt’s most loyal young patrons. (Yes, in a sense, Dak is a Wiltshire homeboy who likes his scrumpy, albeit that it’s a blue milk from Somerset.) Thanks to Matt, Dak is in town for the Corsham SciFi Family Fun Day. 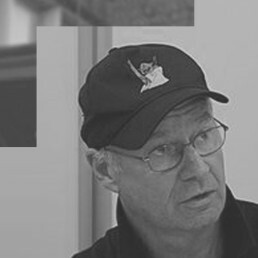 Founded by its chairman, Ady Davies, a career British Army man, the con is an annual spring event held at the Corsham School. Since 2008, it has raised £76,221.52 for charity, a considerable amount for a local show. This year, the April 26 event draws 1,800 fans and raises £6,362.37. Headliner Dave Prowse opens the convention. Corsham regards Lord Vader as one of its own, since the popular West Countryman hails originally from Bristol, the port city across the border in Somerset. Dak and Darth — Rebel and Imperial — are at tables side-by-side throughout the day. To Dak’s left is another guest, the lovely Sarah Louise Madison, Dr. Who’s Weeping Angel. Both franchises dominate the day, evidenced by dozens of daleks and droids that roam the great space before us to the especial delight of the children. 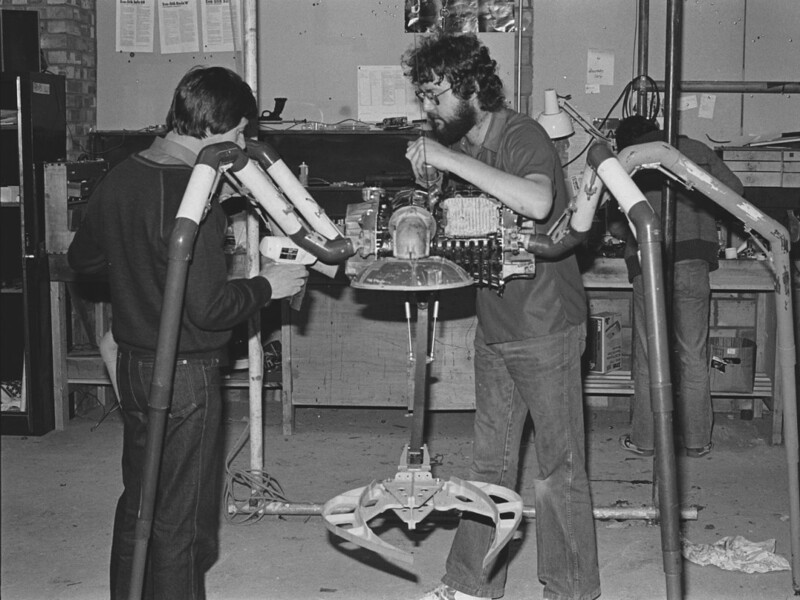 One Artoo in particular catches Dak’s eye, a Steampunk Droid built by local teacher, artist, and props builder Mark Enright, whom the BBC profiled in 2010. 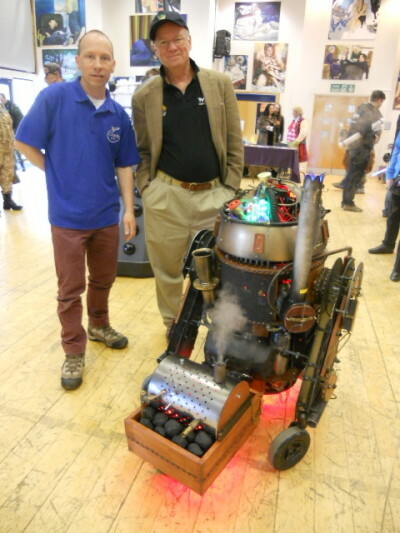 Visit Mark’s site to see more of his most imaginative Steampunk Droid. 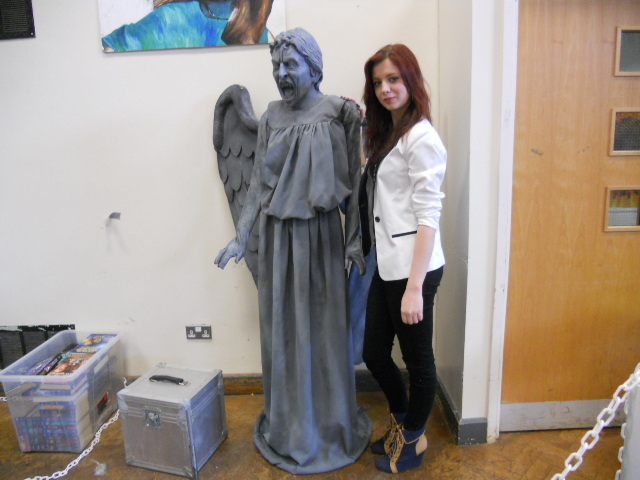 The following day, Dak and the Weeping Angel share adjacent spaces at Glyndwr University in Wrexham, North Wales, for Jaime Milner’s seventh annual Wales Comic Con. 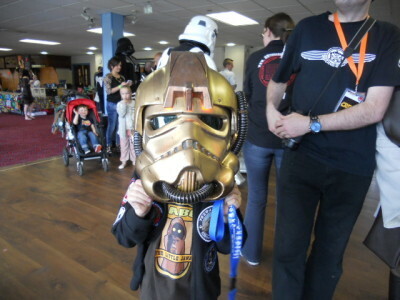 The Star Wars presence in Wrexham is more numerous. The big draw is our own Warwick Davis, joined by Kenny Baker, Yoda puppeteer Mike Quinn, and Aunt Beru, Bonnie Peisse. Beru and Dak appear before a capacity crowd in a university auditorium. Questions abound asking what we know about Episode VII. British fans are clearly hungry and eagerly awaiting their next Star Wars experience. I steer the discussion toward Star Wars Rebels and am surprised to discover that only a handful in the crowd are familiar with the upcoming animation series. 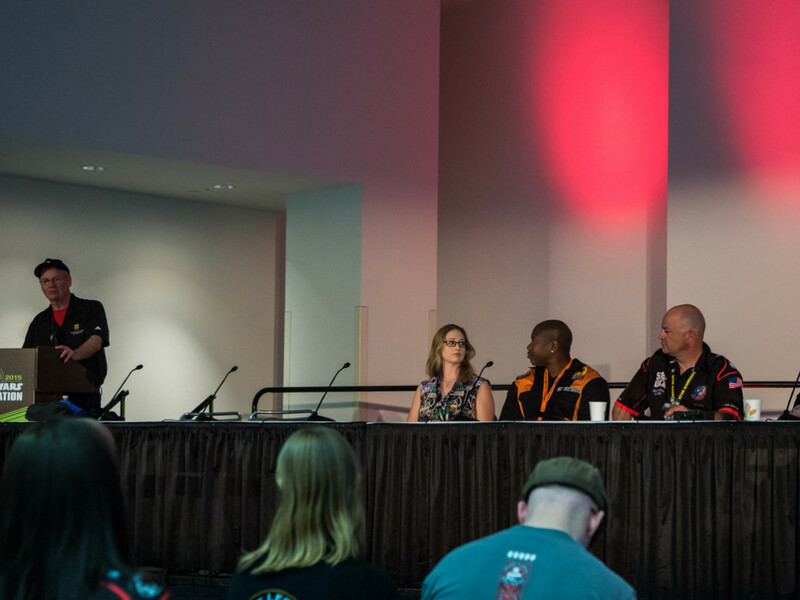 Encouraging fans to get up-to-speed, I reassure them that Rebels will deliver this autumn, play a key role in the Star Wars timeline, and keep them going until we get to December 2015. Of course, several days later the Force is positively disturbed with the Disney/LFL casting announcement for Episode VII. The May the 4th Weekend 2014 is thus an especially joyous celebration. 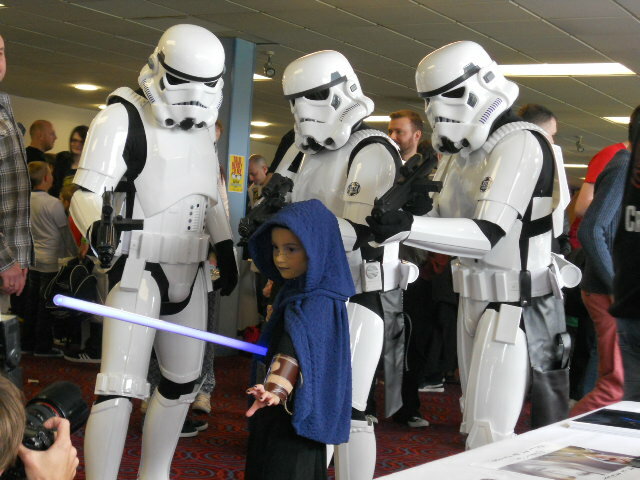 The place to be on the Bank Holiday Monday is Lancashire and the Star Wars Family Fun Day at Turf Moor, the Burnley Football Club grounds. 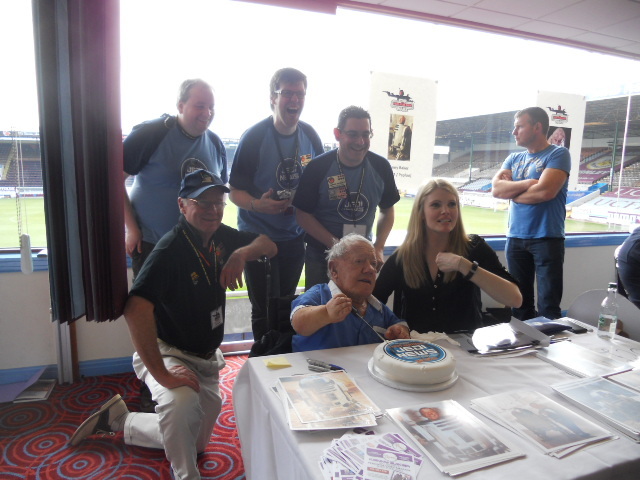 It’s the seventh Burnley event, tagged by many in Britain as a “Mini-Celebration.” Moving among the 2,300 attendees, Dak reunites with Continental fans he had met last year at Essen’s CE2—a number of Scandinavians and Dutch. It’s an all-Star Wars event with a huge line-up. Dak reconvenes with Dave Prowse, Kenny Baker, and Bonnie Piesse. We are joined by Tim Rose (Admiral Ackbar), Michael Carter (Bib Fortuna), Stephen Costantino (Gamorrean Guard), Tim Dry (J’Quille), Sean Crawford (Yakface), Jerome Blake (Mas Amedda), Lewis MacLeod (Sebulba), and Nathalie Cox (the voice of Juno Eclipse from The Force Unleashed). At the pre-event dinner, Bonnie provides the music. We all sit at tables to get a chance to chat with fans and sponsors. 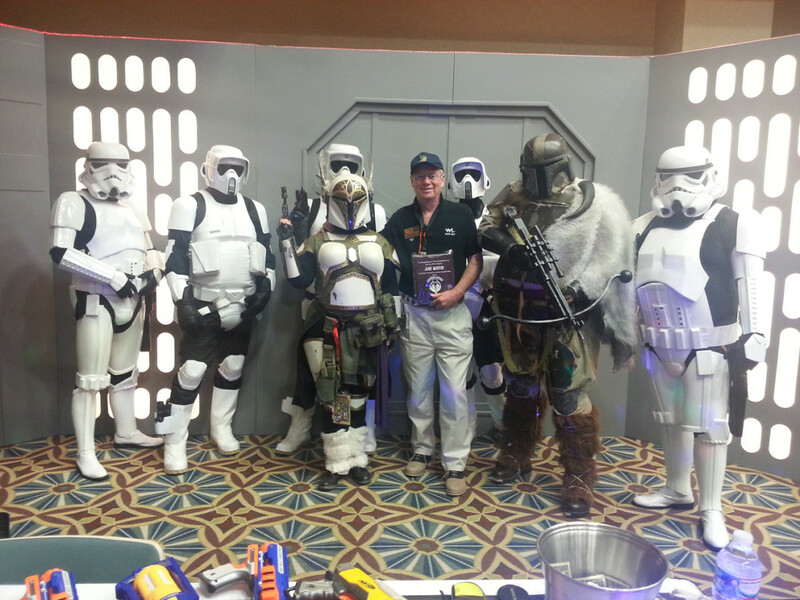 Dak’s table is “Echo Base” and includes three from the Jedi News team, James Burns, Mark Newbold, and Brian Cameron, and Simon Lee Windus and Rob McCormick of Stockport’s RS Prop Masters, bespoke armorers to the Stormtrooper community. 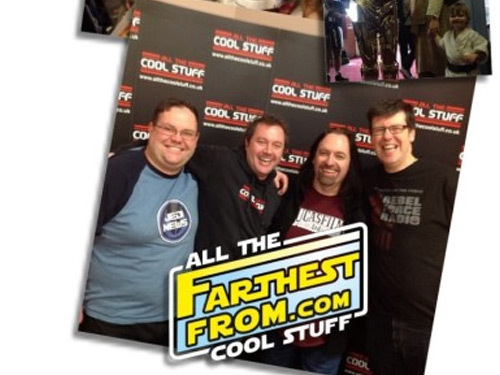 On event day, I find myself between Kenny Baker and Nathalie Cox. Here we are with Jedi News enjoying their birthday celebrations. And here’s Kenny signing up a storm. SWFFD is a most noteworthy charitable event. This year founder and organizer Neil Livesey and his colleague Paul Dunne raise £3,804 for the Fan Day’s sponsored charity, the East Lancashire Hospice. For 30 years, the hospice has been continuously providing specialist, supportive, and end of life care for people and their families both at the hospice and at home throughout the region. SWFFD raise another £565 for the Large Munsterlander Rescue and £320 for Make-a-Wish UK. 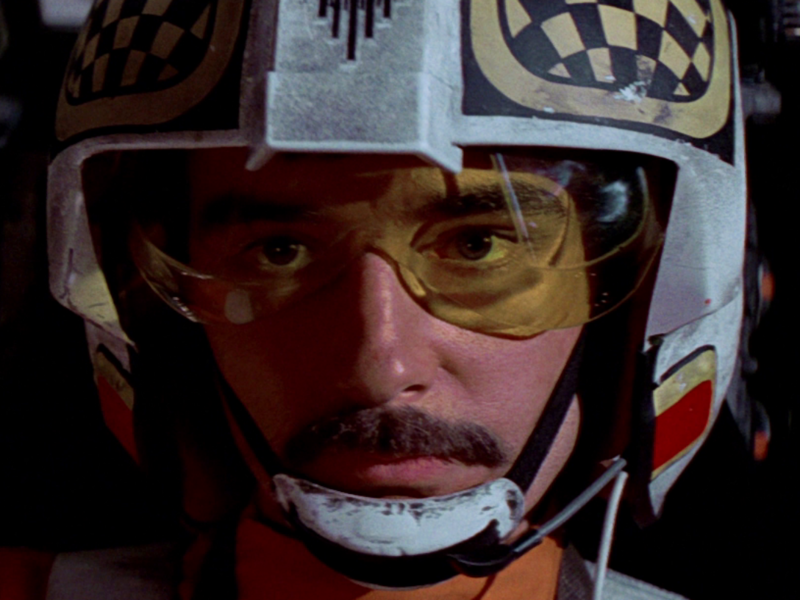 Here in Britain, I begin to hear a term applied to us galactic veterans: “Star Wars Ambassadors.” I like it. Droid builder Mark Enright captures the spirit of our endeavors in his 2010 BBC interview: “Building these kinds of robots is very self-indulgent, so getting the opportunity to raise money for charities using these builds is very satisfying.” I think he speaks for all of us — whatever we do, whatever our formal or informal association with the Galaxy. I want to close with a shout-out for two of our Star Wars actor-writers. 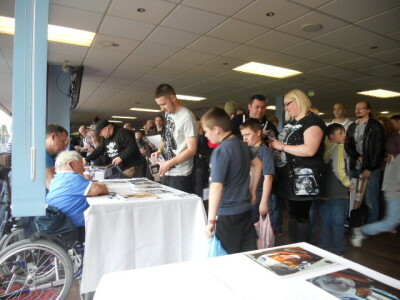 Dave Prowse was busy signing his Straight From The Force’s Mouth at Corsham and Burnley. At Wrexham, Warwick had a roaring trade going with his Size Matters Not: The Extraordinary Life and Career of Warwick Davis. Warwick’s unbounded talent is currently very evident. His Wales appearance coincided with the airing of his popular ITV series Weekend Escapes with Warwick Davis. For Dak, Wicket is the epitome of a Star Wars ambassador.